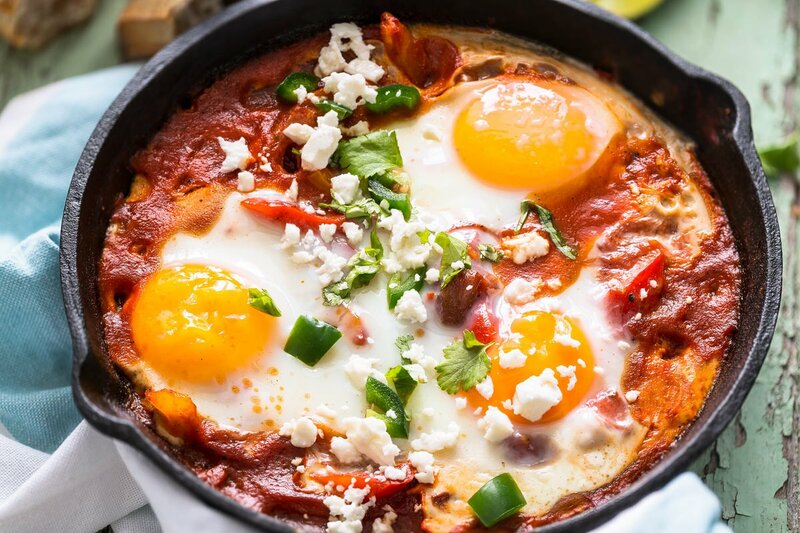 The Best Shakshuka Recipe For Your Weekend - Planned Property Management, Inc. The best weekend recipes are the ones you can enjoy for any meal of the day. 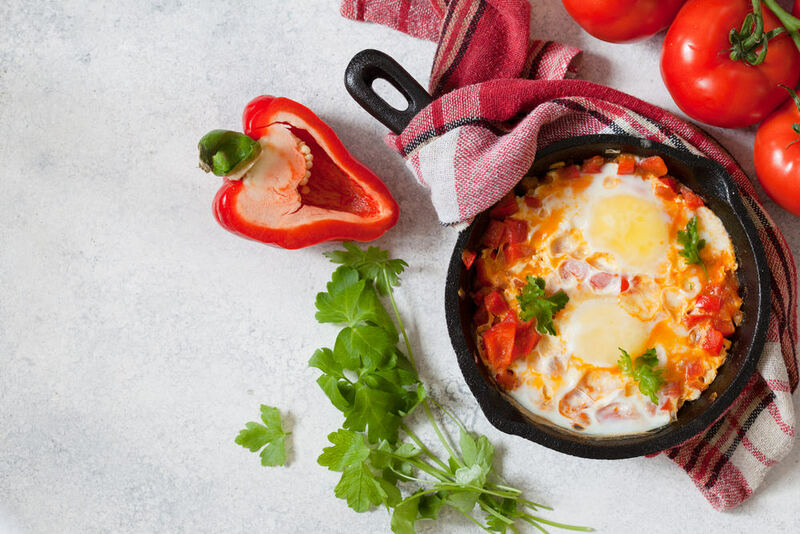 One of the reigning recipes of this category is Shakshuka, the beloved Mediterranean dish that consists of poached eggs in a savory tomato sauce. It’s a staple in Isreal, and it’s been growing in popularity over here in the United States as of late. You may have noticed it popping up on menus in trendy restaurants. And you may assume, by the looks of it, that it’s difficult to make. But (luckily), you’d be wrong. Shakshuka may be an intimidating word to say aloud, but cooking the dish is far from it. Take a look at our easy recipe below, and we bet you’ll feel confident trying it out this weekend (for breakfast, brunch, dinner, or anything in between). Happy cooking! Begin by heating the olive oil in a pan over medium heat. Add the pepper and onion to the pan, and cook for about 5 minutes (or until onion is translucent). Next, add the garlic and additional spices to the pan. Cook for 1 minute. Now it’s time for the tomatoes. Add the canned tomatoes to the pan and crush them with a spoon. Season with salt and pepper to taste. Bring it to a simmer, and let it cook for about 10 minutes. Sprinkle with feta on top (optional) and serve with pita bread (optional).